The Rev. Thomas Dickson Nicholson was the first Presbyterian Minister of Nelson and Marlborough. He was born at Howthat farm in the Scottish county of Dumfriesshire on 19 February 1817. Even though his parents Jonah and Janet had six sons and six daughters to support, they were quite well off. Thomas was the fourth oldest and received thorough schooling at a nearby Academy. At age 16, he decided to become a Minister and set off for the University of Edinburgh in 1832. Alison McWhir, Thomas' future wife, was the second daughter of the Rev John McWhir , born in 1775, a native of Dumfriesshire. John McWhir became Minister of the Parish of Urr, Scotland from 1812 when he was ordained, until his death on 8 February 1835. Alison's mother was Jean Fraser. Her maternal grandfather was Alexander Fraser Esq, a writer to the Signet (Solicitor), Edinburgh. John and Jean McWhir were married on 10 December 1813 and had 4 children: Emelia, Bryce Johnstone, Alison (born 30 March 1818), and their final child Mary Johnstone. Jean McWhir died on 16 February 1856. Reverend Nicholson was sent out to New Zealand by the Free Church of Scotland. He had a three year contract in Nelson. The Nicholsons departed the UK on 12 November 1847 on board the John Wickcliffe, which arrived in Otago on 22 March 1848 and anchored at Port Chalmers the next day. The ship stayed in Dunedin for some time and the Nichosons fourth child, and first son, was born on board on 19 April 1848. He was baptised on 23 April 1848 and named John Wickcliffe (after the ship) McWhir (mother's maiden name) Daly (captain of the John Wickcliffe) Nicholson. The water used to baptise John was brought all the way from the Thames in England by the officiating minister Rev Thomas Burns. The John Wickcliffe proceeded to Wellington with the Nicholsons on board. They eventually arrived in Nelson on board the Mary Anne on Sunday 18 June 1848. The Rev Thomas preached that same evening in a Mr Campbell's schoolroom. No manse was provided. The stipend was £300pa, which was quite a substantial sum of money in those days, and it enabled Rev Nicholson to purchase nine acres of land in Collingwood Street, where a brick house was built. It was named Alicebrae : the Alice after Alison Nicholson and the Brae for the Scottish term for hillside. They employed a maid who probably acted as nanny and a part-time cook. 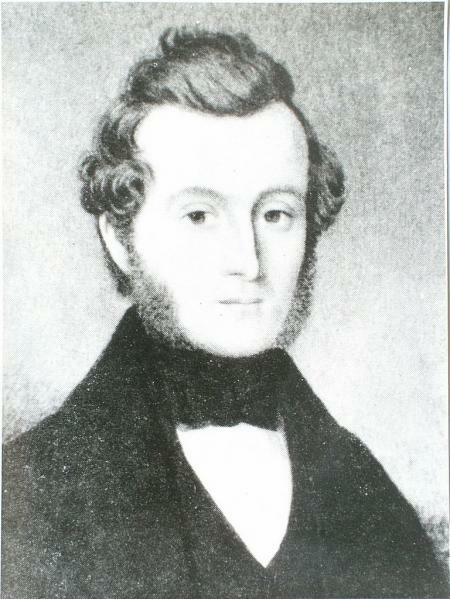 Daughter Amelia described her father Thomas as a ‘strong boisterous man while her mother was always so quiet, gentle and kind to all, but with a very strong character'. Rev Nicholson was the first Presbyterian Minister of Nelson and Marlborough, and he laid the foundation stone for the first Presbyterian Church in Nelson on 22 February 1849. 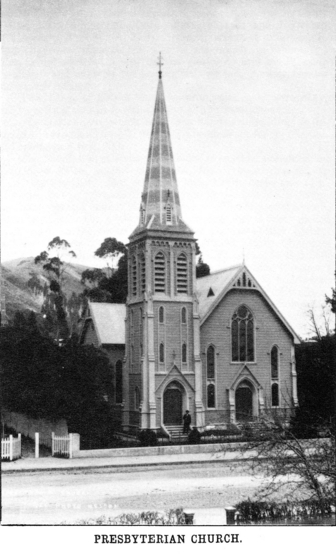 This was Trinity Church in Nelson Street, Nelson, where Rev. 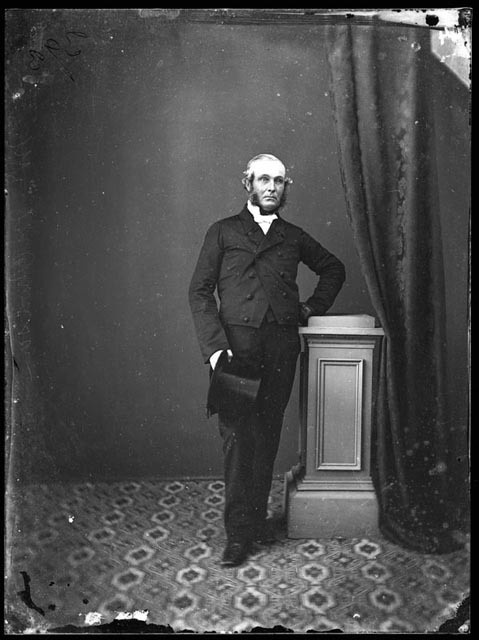 Nicholson was minister for the congregation. The building was of wood on a brick foundation and accommodated about 350 people. There had been quite a few earthquakes in 1848, thus brick seemed a more appropriate material to build in. The First Church opened on 23 December 1849. Benjamin David born Alicebrae, Nelson on 21 April 1855, died 8 May 1855 at Alicebrae. In June 1855, Nicholson announced to the Nelson Presbytery that he intended to resign, but it would not be for quite some while, since a successor had to be found. Consequently at the start of 1856, Nicholson tried to sell Alicebrae, but there were no takers. Severe sadness followed with Alice born 9 July 1856 at Alicebrae, Nelson, living only 11.5 hours, dying on 10 July 1856. Following this, Rev. Nicholson's wife, Alison Nicholson, died early on Wednesday 30 July 1856 at Alicebrae. She was buried on 2 August 1856 at Nelson General Cemetery, being interred with her two last born children. ‘What is home without a Mother? What are all the joys we meet? Greets the coming of our feet? Events cemented Nicholson's resolve to move away from Nelson and its memories. The fact that there were six remaining children to care and plan for made matters harder for him. Friends rallied round and he decided to take leave for six weeks and left for Melbourne on 19 October 1856, at the same time putting Alicebrae on the market for the second time. After a replacement Minister was found, Rev Nicholson left Nelson on 5 August 1857 by sea, for Picton. Some of his children remained in Nelson and were boarded out. Thomas was instrumental in erecting a church at Renwicktown, near Blenheim: the first church of any denomination in the district, and which opened in 1859. A manse was provided, but he also had his own house at Shakespeare Bay, near Picton and often went there. Thomas died in Picton on 16 July 1864 of heart disease, aged 47. Want to find out more about the Rev. T.D. Nicholson ? View Further Sources here. Susan Pendergrast, T.D. Nicholson was also my great great grandfather too, though in my case it was on my father's side. Rev TD Nicholson is my great great grandfather on my moms side of the family. I am researching our ancestors and was delighted to find this article. Presbyterian Church: in Broad, L.(1892) The Jubilee History of Nelson from 1842-1892. Nelson, N.Z. : Bond, Finney & Co.